Sign up to Volunteer! | Garrett Mentors, Inc.
Garrett Mentors, Inc. > Support the Cause > Sign up to Volunteer! Want to Volunteer but not as a lunchtime mentor? Become a Friend of Garrett Mentors, instead! Many people love our program and want to help, but are not able to mentor during lunchtime. We can still use your help in lots of ways! We have fundraising events, children’s activities and other community functions that we could definitely use some extra hands for from time to time! Sign up today to join our Friend of Garrett Mentors Volunteer List! Thanks for your support! A Friend of Garrett Mentors is someone who wishes to assist our program and the children we serve but who is not able or does not wish to be a lunchtime mentor. A Friend of our program may help at special children's events (holiday party, summer picnic, etc), volunteer at fundraising events or help promote our program in other ways in our community! 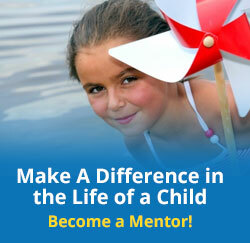 Sign up to be a Friend of Garrett Mentors, today! Please list your hobbies, interests, special skills etc.